As of November 27, 2018, the ocean temperature in Surf City is 63 degrees. 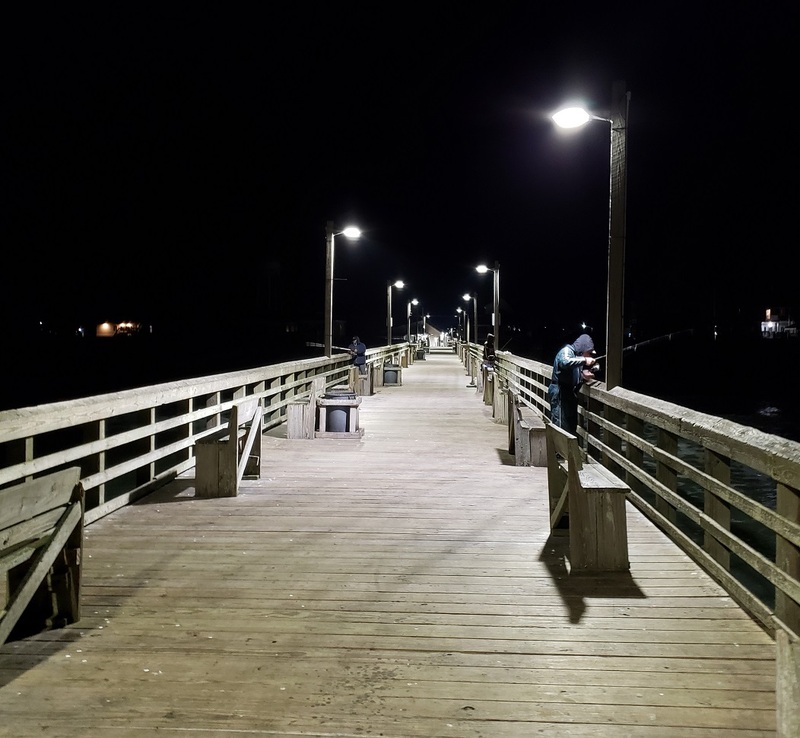 The Surf City Pier closes for the season December 2, 2018. There are a few trout here and there. They had a short run the second week of November. Mullets are here. If you like “whiting” you’re in luck. In the morning at high tide on bloodworms is your best bet. I can’t imagine they’d have a problem with shrimp, either. They’re out feeding at the high tide. The biggest whiting I’ve ever seen have been in a foot of water right off of the beach. Temperatures are cooler than normal, so hopefully there isn’t another huge fish kill this winter.